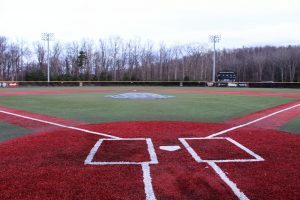 Coming off an 18-36 record last season, the Mountaineers look to hit the diamond in 2017 with a new approach towards the season. 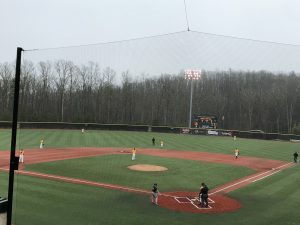 Appalachian State head baseball coach, Kermit Smith, will begin his first season with the Mountaineers after spending the past 15 seasons at the Division II level. Smith spent eight years with Belmont Abbey and the previous seven with Lander University. 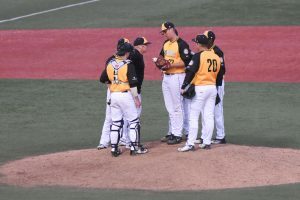 In the face of this being Smith’s first season as a Mountaineer, he was able to land six new players and three freshmen to this year’s roster. Although Smith brought in a large freshman class, everyone in the locker room this fall was a fresh face to him. 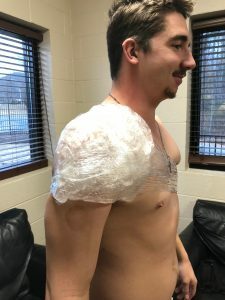 This presented him with the unique opportunity of viewing the entire team as all freshman from a baseball standpoint. 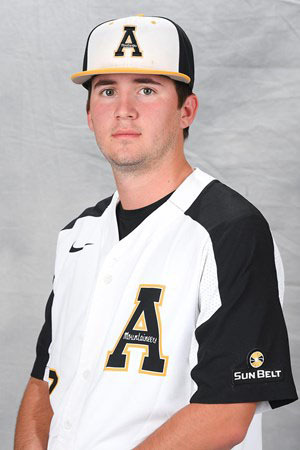 Smith’s main focus when he arrived to Boone this fall was to create a different culture for App State baseball. Being new to the program and unfamiliar with his team, he wanted to create an atmosphere where relationships came first. Senior left-handed pitcher, Dallas DeVrieze and senior outfielder/right-handed pitcher Brian Buak, have been in the baseball program for four years. The two seniors have immediately bought into Smith’s philosophy and are eager to begin their final season in black and gold. During his short time with Smith, Bauk has noticed that he has a chip on his shoulder that fits right into the team. 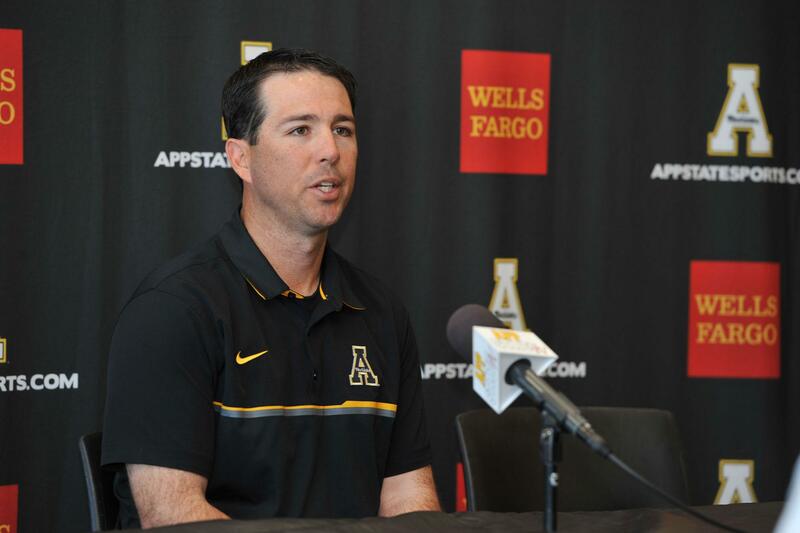 Smith and his staff are approaching each game with three specific keys to success in mind: being more prepared on the field, caring about App’s players more than the other team cares about theirs and needing to play harder than the other team. 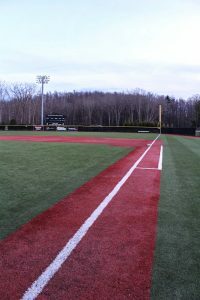 The Mountaineers play a total of 58 games this season and 35 of those games will be played on the road. Although some coaches and players may view this as a grueling schedule, Smith hopes his team can approach this as an opportunity to grow together as a team. This demanding road schedule the Mountaineers will face could possibly be exactly what Smith and his team need in regards to preparation. Creating a family-like atmosphere is the second factor to success this season. Road trips can be long and exhausting, but they also give you the chance to spend a tremendous amount of time with your teammates. Last but not least on the keys to success: playing harder than the other team. Smith established this key during the fall as working hard became the norm. The weight room culture this off-season should carry onto the baseball field this spring. 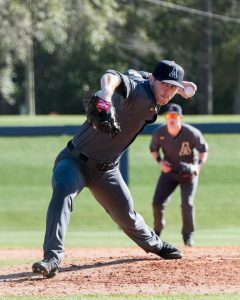 Smith is new to Division 1 baseball, new to his players and new to the program. In spite of this, he is not shy when it comes to speaking about his long term goals. “Winning a National Championship.” Smith said plain and simple.. 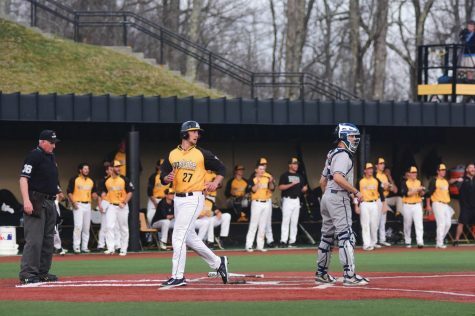 The Mountaineers kick off their season this weekend with a four game road stand in Wilmington where they will take on VMI twice, George Mason and UNCW.